Use the tabs to see what's happening at bioProcess UK each day. As speakers and titles of presentations are confirmed, we'll add them to the programme below. Please check back regularly. NB: Tuesday 20 November will be held in the Edinburgh Castle; Wednesday 21 and Thursday 22 November will be held in the Assembly Rooms, Edinburgh. Please note that the Castle is located on a relatively steep hill. If you have difficulties in walking you may want to consider taking a taxi. As Founder and CEO of Symbiosis, Colin is responsible for the company’s performance and delivery of its strategic business plan and for generating maximum value for all shareholders and stakeholders. He manages all aspects of the company’s day-to-day operations and drives its strategic development efforts. With over two decades of experience in the life science industry working for small and large biopharma organisations on an international basis, Colin has spent most of his career helping clients overcome drug development challenges within the field of drug development and the sterile manufacture of biopharmaceuticals arena in particular. Working closely with his management team, Colin ensures the company maintains its client-orientated philosophy and is focussed on the fundamental importance of Quality, and compliance. He oversees the delivery of Symbiosis’ services which enable the success of clients’ projects, the development of long-term relationships, and secure repeat business in a way which is mutually beneficial. He holds a BSc (Hons) degree in Cell Biology from Glasgow University, an MSc in Molecular Genetics from Glasgow University and an MBA from Strathclyde University specialising in international marketing and strategic relationships. Since his appointment as Chief Executive of the BioIndustry Association in 2012, Steve has led major BIA campaigns for, amongst other things, improved access to finance, the refilling of the Biomedical Catalyst, anti-microbial resistance and the opportunity the sector presents to generalist long term investors. Steve champions the adaptive pathway approach to the licensing of new drugs, the need for Early Access and is particularly proud of the working relationship the BIA has established with the UK’s leading medical research charities. A founder member of United Life Sciences, a strategic partnership representing over 1000 life science and healthcare member companies across the UK and internationally, Steve attends the UK’s Ministerial Industry Strategy Group, and sits on The Royal Society's Science, Industry and Translation Committee. Beyond the UK Steve is a member of EuropaBio’s Board and its National Association Council and is a founder member of the International Confederation of Biotech Associations. An expert and regular commentator on the sector in the media and at industry-leading conferences Steve has worked both in biotech (as Senior Director at Genzyme UK and Ireland) and at the highest levels of UK government (as Special Advisor to John Reid, MP, during his time in Tony Blair’s government) for over 15 years. Steve was awarded the OBE in January 2017. The first wave of the Industrial Strategy Challenge Fund contained £197m of investment in new UK capacity, capital and R&D. In this presentation the progress with assignment of this investment will be described along with the key performance indicators for the ISCF and the way in which UKRI will build on Wave 1 to strengthen the UK’s manufacturing base in small molecule and advanced therapeutics. Dave joined GSK in 1992 at Worthing as a PhD Chemist from Glasgow University. He has over 20 years’ experience with the company carrying out a number of Technical, Compliance and Manufacturing leadership roles. In 1997 he moved to Irvine to take up a lead chemist role before coming Quality Control Manager in 1998. He joined the site leadership team in 2001 to run Technical Development before moving to manufacturing as Actives Production Director in 2005. During this time he completed a Masters degree in Manufacturing Leadership at Cambridge University. In 2007 he moved to GSK House to work on a central network re-structuring project before becoming Site Director at Montrose in October 2008. At Montrose, he led the transformation of the site to manufacture over 12 products for GSK including a major investment programme. In 2011 he was appointed VP Primary Supply Chain with responsibility for global Active Pharmaceutical Ingredients (API) manufacture and supply, a network of GMS sites across the world including facilities in Asia and Europe. In 2017 he was appointed VP Head of GMS Strategy with responsibility for manufacturing strategy, deployment of strategic programmes, performance management and advocacy. He plays an active role with a number of Governments and is currently co-chair of the Life Sciences Scotland Industry Leadership Group. Dave is also a member of UK Chemicals Industry Association Board. Dave is married with 4 children and lives in Troon, Ayrshire. A snapshot of the UK’s biomanufacturing landscape. Since being appointed as the first Chief Operating Officer of the Cell and Gene Therapy Catapult in January 2013, Stephen has established the world-class industrialisation capabilities at both the Guy’s Hospital facilities in London, plus designed and built the innovative manufacturing centre in Stevenage. He brings over 20 years of biological medicine research, development, and manufacturing experience to the organisation. Stephen enjoys bringing cutting edge technologies to patients, by developing commercially viable products. Stephen is passionate about securing and growing the cell and gene therapy manufacturing and development supply chain. He is the current Chair of the BIA’s Manufacturing Advisory Committee, actively promoting and supporting UK biomanufacturing at Government as well as grass root level. His first degree was from the University of Birmingham, and his second degree from the Medical School of Southampton University. In his current position within Pall Biotech, Peter Levison is responsible for developing strategic partnerships within the Biotech community through the management of a global Key Opinion Leader network. Working with key industrialists and academics around the world, Peter is actively looking for solutions to tomorrow’s challenges today. Previously he has held a global product management leadership role for the continuous processing portfolio of products and process chromatography columns and systems. He joined Pall in July 2003 and has over 25 years experience in the biopharmaceutical industry, holding positions of increasing responsibility in research and development, technical management, and product management. Dr. Levison holds a BSc (Hons) Class I in Biochemistry from the University of Manchester, Manchester, UK and a PhD gained in the Dept. of Biochemistry, University of Manchester. He has an MBA awarded through the Open University Business School, Milton Keynes, UK. He is a member of various professional bodies and has the status of C.Chem, FRSC (Chartered Chemist and Fellow of the Royal Society of Chemistry in the UK) and C.Biol, FRSB (Chartered Biologist and Fellow of the Royal Society of Biology in the UK). Dr Kate Barclay is an Independent Consultant working across high impact Science and Technology industries with a passion for STEM education. As a Chartered Chemical Engineer and Fellow of the IChemE, she has spent over 20 years in the Bio-Pharmaceutical Industry as a Senior Leader in Global R&D across 3 large Pharma organisations leading technical and scientific project teams in clinical manufacture of parenteral, solid dose and inhaled dosage forms as well as developing novel device technologies. 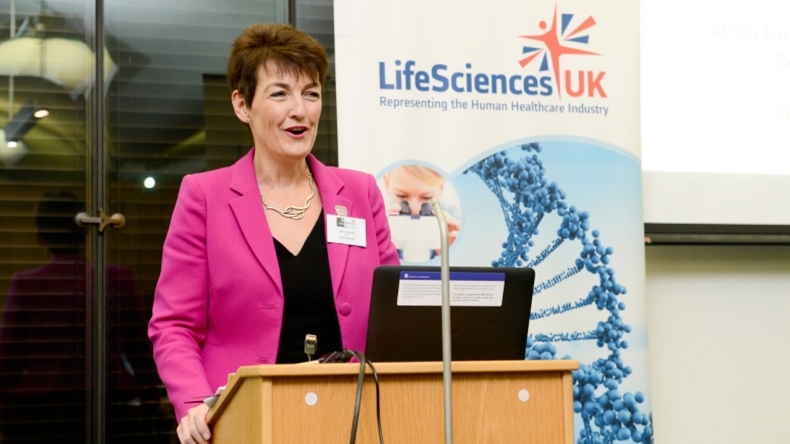 Since 2013 Kate has been instrumental in developing apprenticeships across the Science Industry, leading the Life Sciences and Industrial Sciences Trailblazer employer group in development of new apprenticeship standards. She pioneered apprenticeship implementation across the science industry leading to the first cohort completing new standards in 2016 and has won multiple national awards for quality of apprenticeship delivery. Kate has a passion for promoting opportunities for women in STEM, is an experienced vocational workplace assessor for apprenticeships and a Non-Executive Director of the Institute for Apprenticeships, assuring quality governance to apprenticeship and Technical Education reforms across England. Kate also volunteers as a Parent Governor and Enterprise Advisor to primary and secondary schools providing advice on career pathways and the many exciting opportunities within Science and Engineering. Amy Mercer, 22, a modern day apprentice for Pfizer, Sandwich, shares her voyage into the pharmaceutical industry. Find out how and why she became a life sciences apprentice and listen as she shines a light on to what roles and responsibilities are involved to be a successful apprentice for Pfizer. Amy Mercer is a 22 year old Pharmaceutical Associate Scientist based at Pfizer (Sandwich, UK). Amy is a higher apprentice, working 4 days a week within the Drug Product Design department supporting the Material Sciences group and studying 1 day a week for a Bsc in Chemistry. Over the last four years Amy has spent time on early and later stage development of the drug product through work in active pharmaceutical ingredient (API) solid form screening, investigating the physical stability of the API in drug product and recently transitioning to the material characterisation team to provide support to solid formulation. An enthusiastic and active advocate of STEM, Amy engages whenever possible with younger generations to share and promote her passion for science. As a firm believer in equal opportunities and a supporter of women in science Amy is keen to reach out to potential scientists of the future. An overview of the inaugural BIA-MAC LeaP, a programme set up to develop leaders of the future and establish a comprehensive network across the 11 companies represented within the group. This brief summary will outline the evolution of the programme over its first 2 years as well as the benefits gained from those who have been involved. Chris is a Senior Manager within Process Sciences at Allergan Biologics (Liverpool, UK) with over 8 years of experience within the industry. In this role he leads teams to develop upstream processes for the manufacture of Biological APIs for Mammalian, Microbial and more recently Gene Therapy products. Prior to his current role, he has held positions as Cell, Strain and Fermentation Development Scientist, as well as Senior Process Development Scientist. Throughout his career, he has worked on the scale-up, optimisation, process characterisation/validation and technical transfer of upstream processes, whilst also evaluating new and emerging technologies. Chris holds BSc Biochemistry and Biological Chemistry from the University of Nottingham and MSc Industrial Biotechnology from Liverpool John Moores University. PULSE is a three-day leadership and entrepreneurship training programme developed by the BIA and the Francis Crick Institute. The programme is for aspiring entrepreneurs and new CEOs looking for advanced practical advice, support and feedback from leading entrepreneurs, renowned professionals and CEOs, and offers delegates the invaluable opportunity to build links and networks across the sector, from industry experts to your CEO peers, and form an ongoing relationship with the Crick and BIA. Nick is responsible for overseeing the BIA’s operations, ensuring that all activities are professionally delivered to the highest standard. He will be providing an organisation-wide operational perspective to, and support for, activities and projects. He has specific responsibility for office management/facilities, financial systems/processes and credit control, company secretariat, human resources and IT/telecoms. Nick joined the BIA in October 2014, bringing with him extensive industry and not-for-profit management experience. Prior to this role he ran the Clinical Laboratory Division of Lab21. This involved providing specialist laboratory services to the healthcare, pharmaceutical and clinical trials markets. He had management responsibility for all operations, income, laboratory and customer services and client liaison across the Group. He also has specific experience of diagnostic testing within the HIV and HCV disease areas. This was gained through building Delphic Diagnostics into a one-stop-shop for clinicians, enabling more effective patient monitoring and subsequent treatment options. Nick also has extensive management experience within the not-for-profit sector, working for a trade body representing and building the profile of the business communication industry. Complexities in the interface of the supply chain with patients and clinicians in the NHS are common for autologous therapies. Advanced Therapy Treatment Centres (ATTCs) are consortia of product and supply chain companies NHS organisations; they have been funded by Innovate UK to address these complexities by identifying obstacles and bottlenecks. The approach of the Northern Alliance ATTC to supply chain complexity will be described. Vaccines have already saved countless millions. Yet still people die from vaccine-preventable diseases - vaccine supply and affordability are the two key issues that limit our ability to eradicate disease, reach immunization goals, and respond to epidemics. If we can create a generic manufacturing system, applicable to a wide range of vaccines, such that the cost per dose is no more than 15 cents, then we can change this. Vaccines will be far more accessible and affordable, irrespective of income. Employed by GE Healthcare since 2001, Elles Steensma is the Global Product Manager for Security of Supply for chromatography resins. Her prior roles at the company include Protein Scientist in R&D and Quality Control Manager within Global Supply Chain. At Wageningen University, The Netherlands, Elles earned a BSc and MSc in molecular sciences as well as a PhD in biochemistry. She joined GE Healthcare after several years as a postdoctoral researcher at Uppsala University, Sweden. Mark currently leads in identifying and securing opportunities for the National Biologics Manufacturing Centre at CPI to engage, collaborate with and support large corporates, SMEs, academia and charities to enable the delivery of innovative manufacturing solutions to accelerate the growth of new and emerging biologic medicines. Prior to this he was the Medicines Manufacturing Specialist at the Knowledge Transfer Network (KTN), Technical Director for Medicines at the previous HealthTech and Medicines KTN and worked for seven years developing the growth of bioprocessing across the UK as part of bioProcessUK. Fill finish, automated inspection and assembly into delivery devices all present significant challenges for biotech products. A case study addressing these challenges for high concentration antibody products will be shared along with strategies for minimising waste and maximising productivity. Brendan is Director of New Product Introduction and Process Technology at GSK’s Barnard Castle Manufacturing Facility. He has technical accountability for introduction of all new products to site as well as managing the technical support and continuous improvement of existing products. Brendan joined GSK in October 2009 and was previously Director of Bioprocess Sciences at MedImmune Cambridge. In this role he was responsible for all aspects of the development of purification methodologies, product characterisation, QC, potency, formulation & drug delivery for MedImmune products in relation to their use in commercial pharmaceutical processes. Fill Finish of biologics is as simple as filling the product into a vial isn’t it? Fill finish of small-scale peptide drug products for clinical trials present a number of challenges. Fill finish of vector products brings additional challenges against rapid development timescales and the evolving regulatory environment of advance therapeutics. How the peptide fill finish experience can be used to assist clients efficiently navigate vector product manufacturing challenges is discussed. Katherine is Director of a small consultancy Actuact Ltd providing technical project management support to clients. Prior to entering consultancy, Katherine gained 23 years’ experience of biomanufacturing in the development and manufacture of biologicals (plasma products). This included development of viral removal processes, quality assurance and business processes. She has had a long association with Symbiosis Pharmaceutical Services Ltd as Head of Project Management. In this role she was responsible for transferring in numerous client projects for formulation and aseptic fill finish of drug products for clinical trial including small chemical entities, peptides, conjugated antibodies and vectors. Currently she is supporting, as a consultant, the Company’s manufacturing capacity and capability expansion programme. The need for a simple cost-effective means to ship and store cells safely is urgently required if cell therapy is to realise its full clinical potential world-wide. We have developed a hydrogel encapsulation technology that facilitates the transport of cells at room temperature bringing a much needed alternative to cryo-storage for shipment of cellular products. Che Connon obtained his PhD in Biophysics from the Open University Oxford Research Unit in 2000, during which time he investigated corneal wound healing and transparency. He subsequently obtained a JSPS post-doctoral fellowship to work in Kyoto, Japan for two years studying corneal stem cell transplantation. Upon his return to the UK he was awarded a Royal Society Fellowship to investigate the use of biomaterials in stem cell therapies. He obtained his first permanent position in 2007 at University of Reading, School of Pharmacy and since 2014 he has held the position of Professor of Tissue Engineering at Newcastle University. Professor Connon’s research team seeks to address key bottlenecks in the cell therapy pathway, from cell expansion, to tissue formation and finally transport and storage. Professor Connon is the Academic Founder and CSO of Atelerix. Ltd a company that supplies hydrogels for the storage and shipment of cells at controlled room temperature for clinical and scientific purposes. Professor Connon has a wife, Joanna, and two children, Tobias and Scarlett aged 12 and 10 and a Corgi-Jack Russell crossbred dog named Louie (age unknown). They all live, more or less happily, in the coastal village of Cullercoats, outside of the city of Newcastle. Andy is the Site Manager at Macclesfield which is AstraZeneca’s second biggest manufacturing site and supplies Tablets, Sterile Devices and Parenteral and Tablet packs to around 130 markets globally. Andy is a Fellow of the Institute of Chemical Engineers and has worked for ICI, Zeneca and AstraZeneca since 1987. Andy has worked across Supply Chain Management, Major Capital and IS projects, Engineering and Manufacturing Management during his career and is currently chairman of the Medicines Manufacturing Industry Partnership. Alvin will briefly introduce his time as a lecturer in chemical engineering at UCL where his appointment just predated Peter’s; and his role as a Professor of Biochemical Engineering at Birmingham. He will then summarize his mixing research and interactions with the bioindustry based on it in the UK and abroad, involving both the physical phenomena of mixing and its application to a variety of different organisms and bioprocesses. Dr. Alvin W. Nienow is Emeritus Professor of Biochemical Engineering at the University of Birmingham, Visiting Professor at Aston University and a Fellow of the Royal Academy of Engineering. He has Honorary Doctorates from the West Pomeranian University (Poland) and Loughborough University. His research and papers (> 350) have mainly been on mixing, especially related to bioprocesses in stirred bioreactors applied to animal cells, bacteria, yeast, mycelia, plasmid DNA and most recently, stem cells on microcarriers, the latter being undertaken at Loughborough University where he is also Visiting Professor. Alvin has won several awards; Moulton and Donald Medals (Institution of Chemical Engineers), Lifetime Recognition Award for Mixing (European Federation of Chemical Engineering) and Jan. E. Purkyne Medal (Czech Academy of Sciences). He is also Honorary Member of the Czech Society of Chemical Engineering. He has consulted and taught courses for many companies in UK, Europe and USA and the FMP/BHRG industrial research consortium. The variety, complexity and sheer volume of mammalian cell derived recombinant protein products now entering industrial pipelines is unprecedented. The traditional approaches taken by mAb focussed process development and manufacturing teams, as well as the associated assets they rely upon, typically underperform with these NMEs. To improve the bottom line intensified processes including new technologies and superior organizational practices are needed. In this presentation MedImmune’s application of several state-of-the-art solutions for the production of next generation recombinant protein products will be discussed. Additionally, the presentation will address innovative approaches being taken to deal with the organisational challenges which an evolving pipeline presents. Matthew Cheeks obtained his PhD in Chemical Engineering at the University of Cambridge researching the industrial bioprocessing of lentiviral vectors. He also graduated with distinction from Oxford University’s executive MBA program in International Business. Matthew’s professional career began at Lonza Biologics (Slough, UK), where he accumulated substantial expertise as a Lead Process Development Scientist. Afterwards he moved to Europe to work for Polpharma Biologics (Gdansk, Poland), a dedicated biosimilars manufacturer, where he helped establish commercial manufacturing processes (EPA-131798) and built out the upstream bioprocessing function from scratch. In 2017 Matthew transitioned to MedImmune (Cambridge UK). As a director in the Bioprocess Development Unit he shepherds research and operational activities including high throughput process analytics, process development and pilot scale activities. Work spans a wide range of responsibilities right up to first time in human studies, enabling industrial manufacture of innovative biopharmaceutical drugs. Traditionally, biologics manufacture has been carried out using batch processes which have been scaled-up using conventional stainless steel equipment. With significant improvements in the efficiency and productivity in cell culture over recent years a potential bottleneck has arisen in downstream processing. Coupling this with a desire to improve overall process productivity there has been a widespread acceptance and implementation of single-use technologies for scalable batch processes. More recently batch downstream unit operations have evolved into continuous processing operations where scalable technologies have been introduced that further increase productivity. The stainless steel to single-use option and the batch to hybrid to fully continuous offers a toolbox approach to the bioprocessing industry for productivity improvements across a broad range of advanced biologics modalities that include recombinant proteins, vaccines, cell and gene therapies etc. In this presentation ways in which Antibody Drug Conjugate (ADC) biomanufacturing has been intensified will be discussed. This will include intensification of antibody production as well as the payload-linker bioconjugation process to Drug Substance. Over 10 years of R&D experience in industrial and academic settings with scientific expertise in bioconjugation and a strong background in synthetic chemistry, protein expression and purification. Nicholas currently runs Abzena’s bioconjugation research team managing multiple drug conjugation projects ranging from early stage (proof of concept) to later stage (CMC) antibody-drug conjugate pre-clinical development. He has extensive experience with process optimisation of the ThioBridge™ and other conjugation technologies. He joined Abzena in 2013. Prior to Abzena he was a Postdoctoral researcher at Queens University Belfast following a PhD from the same university. The current Advanced Therapy procurement process is complex, costly and slow for customers with designated fast track status. Cobra Biologics is an international CDMO with a wealth of experience currently at the forefront of this rapidly evolving market with its nascent regulatory climate. This talk will cover global pressures on CDMOs, including addressing technology challenges to maximise productivity of these new therapies, and how the UK government is supporting the sector through the Life Sciences Industrial Strategy to anchor manufacturing in the UK for the benefits of both patients and the economy. Cobra Biologics: International the global biopharmaceutical industry. Prior to his appointment as CEO in 2011, Peter was also the Cobra CFO from its IPO in 2002, through to its acquisition and subsequent separation from Recipharm. Before Cobra he was employed in a number of senior financial and corporate development roles. Peter was awarded an MBA with distinction jointly from the Manchester Business School and the University of Wales. He is also currently the CFO of Prokarium Limited which is a biopharmaceutical company focused on developing vaccination and cancer immunotherapy solutions using synthetic biology. The company recently completed a successful $10m fund raising in Jan 2018. This session will take a look at next generation analytics, as seen by the different areas of the biotechnology industry including the measurement, prediction and automatic adjustment of processing parameters, rapid release testing and changing landscape for CMC biopharma development. The four presentations will explore areas of development for current and future processes, and show the importance of analytics in the advance of new medicines. Kit is Strategic and Transformational Venture Manager at Fujifilm Diosynth Biotechnologies where he previously worked as a Biochemical Engineer until Lean Six Sigma was introduced in the business and he moved into R&D continuous improvement. The adaptation of some of the tools to the lab environment was essential and subsequent Black Belt qualification has shown that R&D departments can embrace LSS. Kit has subsequently applied LSS to quality and engineering. Kit has a first degree from Nottingham University in Chemical Engineering and a PhD from Cambridge University in Chemical Engineering and is a Fellow of the Institute of Chemical Engineers. Kit has also worked in a volunteer sector where he managed a church for two years. This presentation will review the key role innovative Analytical Measurement Science (AMS) has in enabling predictive science approaches and how advanced skills in AMS coupled with data science are key to a healthy and productive future across multiple sectors. Melissa is European Lead and Analytical Sciences expert at Pfizer Global R+D labs (Sandwich, UK). She is an expert in the global Technology and Innovation team who use their knowledge to provide a lens on the dynamic external innovation ecosystems that have the potential to impact the Small Molecule Pharmaceutical Sciences development organisation. They use this knowledge to inform the shaping and delivery of the technology and innovation strategy and vision for the organisation and to facilitate collaborations with external organisations to achieve this strategy. In previous roles Melissa has been the Analytical Lead for development programmes prior to regulatory filings and has represented Pfizer in these programmes in front of regulatory agencies including the FDA. Prior to Pfizer, she was employed in the Department of Pharmacy, Kings College London as Lecturer in Separation Sciences and led a research group. Melissa is now a Visiting full Professor in the Department of Chemistry at the University of Warwick, a Fellow of the RSC, an elected RSC Council member, the President of the RSC Analytical Division and chair the UK Analytical Chemistry Trust Fund. She represents Pfizer on the EFPIA Analytical Methods Working Group and also sit on the British Pharmacopoeia Analytical Quality by Design Working Party. Cell and gene therapy bioprocessing is advancing at a rapid pace with increased automation and the integration of new technologies and biosensors. Concomitantly, this is also driving a requirement for more advanced analytics to allow finer control over the manufacturing process and to support saleable, consistent production of these complex products. This presentation will look at current and future analytical strategies for product characterisation and the application of Process Analytical Technologies to ensure manufacturing processes can meet commercial demands. Damian Marshall is the head of analytical development for the Cell and Gene Therapy Catapult. He has almost 20 years’ of industrial experience focussed on the development of cell therapies and the integration of new technologies for product characterisation. His team works closely with a wide range of therapy developers, implementing analytical approaches to support the clinical and commercial development of their products and addressing some of the fundamental challenges faced by the cell and gene therapy field. This presentation will share UCL Decisional Tools research on the application of predictive data analysis techniques and data mining tools to two industrial bioprocessing case studies. The first focuses on the application of advanced MVDA to investigate the root cause of unwanted trisulfide bond formation on a novel antibody peptide fusion. The second focuses on predictive modelling to enable on-line glucose control using available on-line process measurements. Dr. Stephen Goldrick interests lie in the application of multivariate data analysis (MVDA) and first principle mathematical modelling to the biotechnology sector. He is currently working in the UCL-MedImmune Centre of Excellence as a research associate specialising in bioprocess multivariate statistics and chemometrics. His main focuses involves analysing data sets from both upstream and downstream processing to evaluate process operation improvements and optimise final product titres whilst maintaining consistent product quality. The services that are offered by a CRO are becoming an increasingly important part the biopharmaceutical development supply chain, particularly for small and medium sized biotechnology companies, who have limited R&D and QC/QA capabilities. With the rapid development of new modalities, the service capabilities that are offered by a CRO are having to keep pace with industry requirements. This talk is a personal perspective of how the industry is changing to meet the new challenges. Allan joined Envigo in June 2014 as Director of Biopharmaceutical Development in order to assist the company in developing its strategic direction for CMC. More recently he has taken up the position of Scientific Director CMC to help expand the scientific capabilities/services in the CMC Division, in both physico-chemical analysis and cell biology/immunology. He has a BSc in Biochemistry (Leeds University) and a PhD in Physiological Biochemistry (Imperial College, London). This was followed by 10 years post-doctoral academic experience in R&D, including at the N.I.H. in Bethesda, U.S., and then 20 years+ in industrial research. Over the last 10 years+ he has been involved in Vaccine Development, with Avecia Vaccines and Pharmathene UK, specializing in formulation, analytics, cGMP manufacturing, and stability. He is an author on several peer reviewed scientific papers and patents, including recent publications on vaccine analysis and formulation.